Emily and Jordan’s beautiful and romantic fall wedding at Stan Hywet Hall in Akron. Katie and Justin's rustic portrait session in one of our favorite locations, Peninsula. Sara and Austin’s party of the year at Music Box Supper Club, Flats West Bank. It’s Your Wedding Day. Let’s Do this! Getting Married? Congratulations! 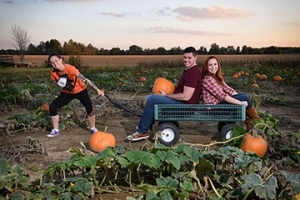 From engagement photos to wedding photos, you’ll feel comfortable working with us (we promise), and you’ll have fun, as if you’re spending time with good friends. Because you are. With Rising Star Photography, you get more than a wedding photographer. You get a partner, before, during and after the big day. 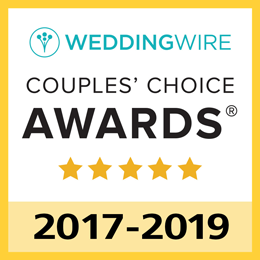 More than 100 5-Star Wedding Wire Reviews! We love what we do. Sure, we love taking Insta-worthy pictures. But what we really love, what really makes us happy, is making you happy! Not only will we capture your day with beautiful photos for you to treasure forever, we’ll make sure that you have fun on the happiest day of your life! Find out why brides and grooms love working with us and recommend us so highly!